Rainbowduino v3.0: Rainbowduino v3.0 is flashed with Arduino boot-loader and this makes it easy to program sketches using Arduino IDE. Unlike other LED drivers, this comes with a USB to UART (FT232RL) inbuilt for programming the sketches. This is being sold now. Rainbowduino LED driver platform - Atmega 168: Not available now. 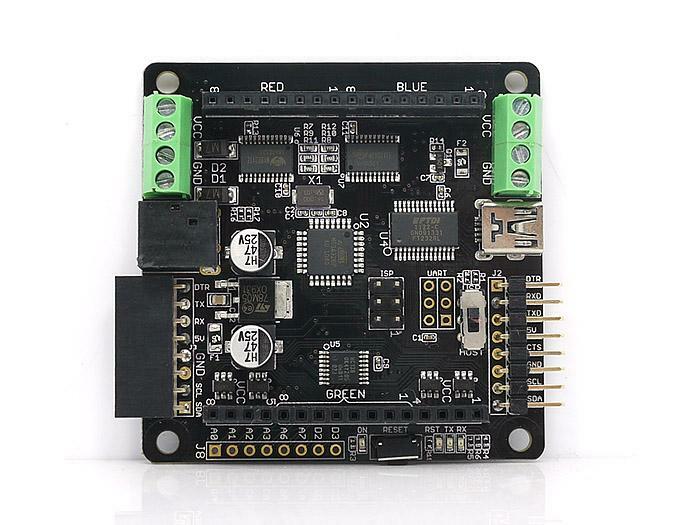 Rainbowduino LED driver platform - ATmega328: The Rainbowduino board is an Arduino compatible controller board with professional LED driving capacity. It will drive an 8x8 RGB Led Matrix (Common Anode). 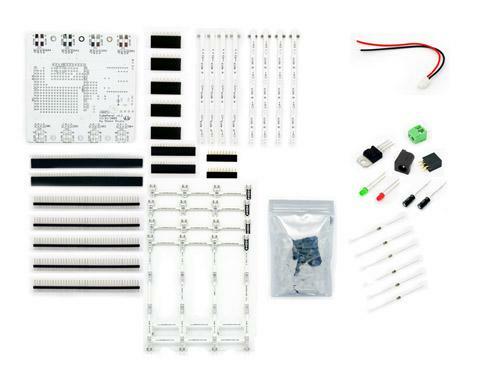 It has revised to Rainbowduino v3.0. 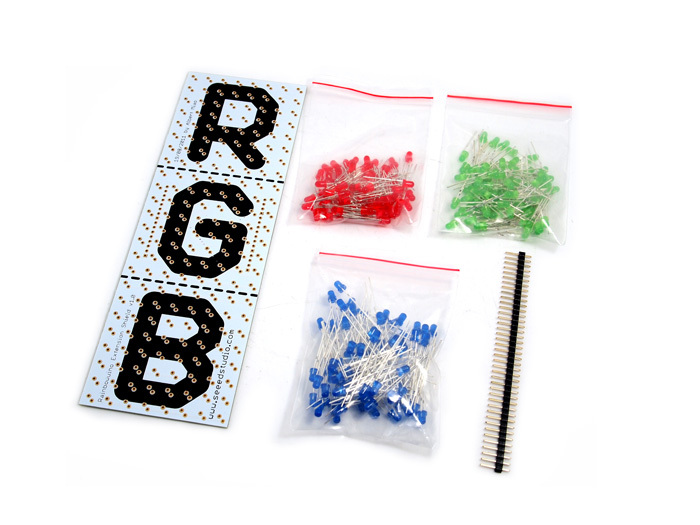 Rainbow Cube kit - RGB 4*4*4 (Rainbowduino Compatible): Rainbow ** **Cube Kit is a 3D RGB LED Cube useful for creating colorful design. 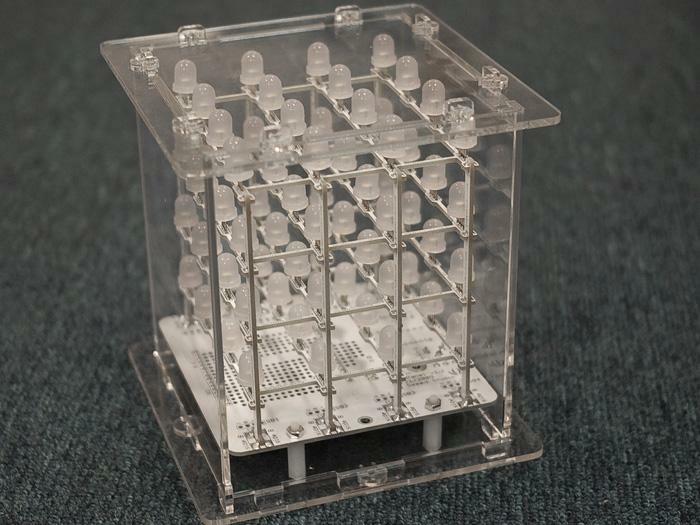 The 3D Cube is artistically crafted with sixty-four 8mm RGB LEDs arranged in a 4 x 4 x 4 manner. Rainbow Cube Kit can be used to create many beautiful visual effects with A Rainbowduino. The Rainbow Cube Kit comes with an inbuilt 3.3V / 1 Amp LDO useful for powering the kit independently. 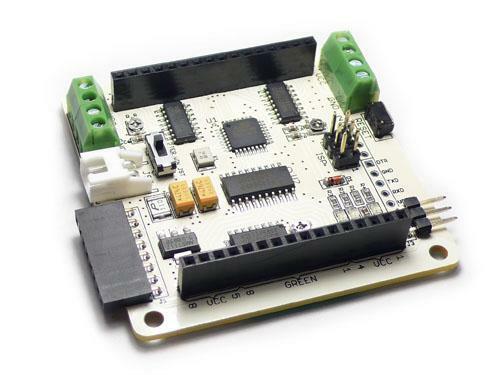 An XBee compatible socket is provided as well, this can be used to connect Rainbowduino with a PC or an Arduino wirelessly. Rainbowduino Extension Board v0.9b: Rainbowduino Extension Shield is a breakout board of Rainbowduino’s 192 separate LED driving channels. The channels are divided into three 8*8 arrays: red, green and blue for easier controlling, it is designed to ease customized LED projects based on Rainbowduino. Rainbow Cube : The “Rainbow Cube – Ready to Shine” requires no soldering and comes pre-assembled with a Rainbowduino (Arduino-compatible) LED driver controller. Just plug it in to your PC or Mac, grab a copy of the free design software, and you’ll discover just how easy it is to program this spectacular device and see the results in real time. 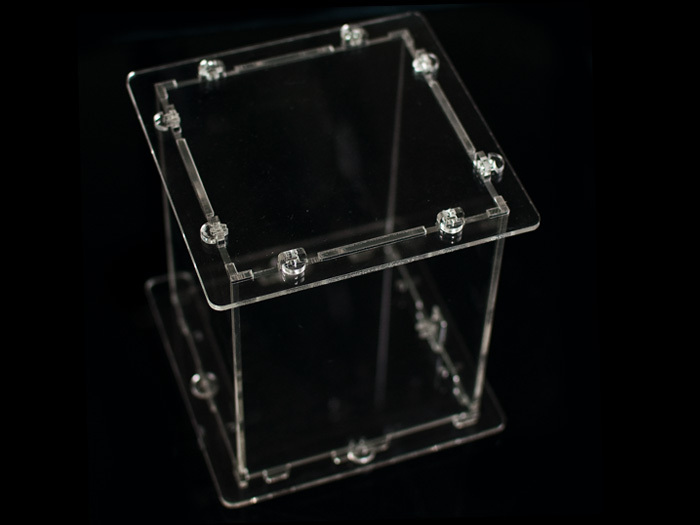 Rainbow Cube Kit Acrylic Harness: An exquisite, Transparent and easy-to-assembled acrylic case which custom made for Rainbow Cube Kit, it is designed by Riley Porter @Synthetos. This Harness is made of six piece of acrylic boards, two bags of keys, four 16mm high plastic columns and several screw nuts.